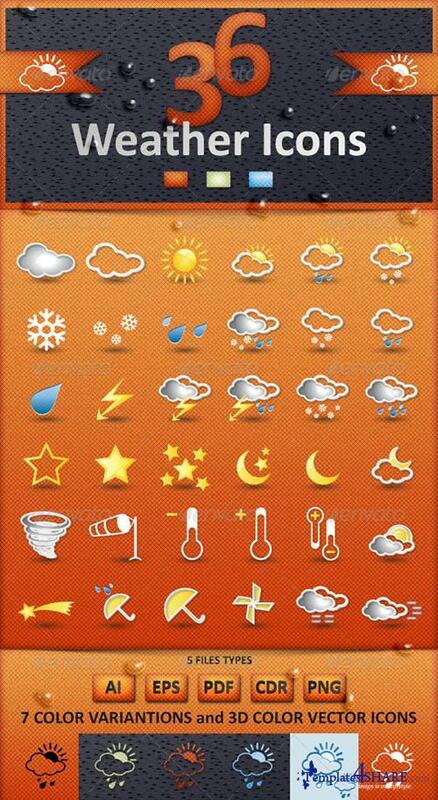 36 Sky Elements & Weather Icons Set. 5 files types / AI, EPS, PDF, CDR , PNG, PSD. 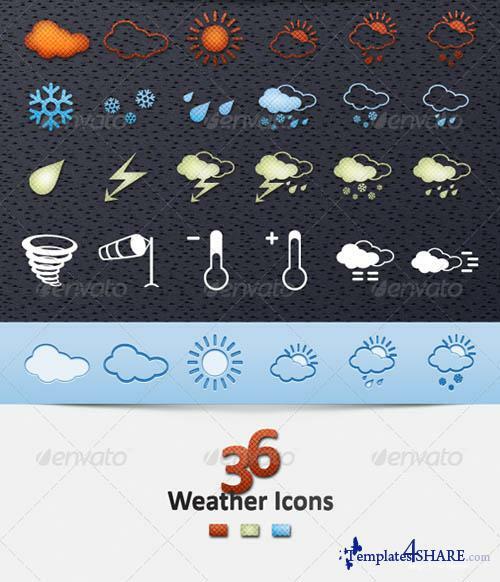 6 PNG different size - white, black and blue / 128x128, 64x64, 48x48, 32x32, 24x24, 16x16.